If you're looking for a salubrious lunch that is guilt-free and Instagram-worthy, the creators of Sarnies Café have you covered with their latest salad concept. 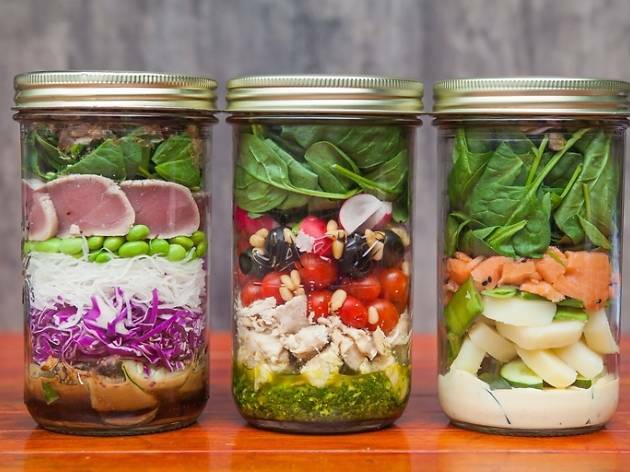 As the name suggests, JAR’D serves its salads in a mason jar, thoughtfully layering each ingredient so you can maximise the freshness of your salad – no more soggy lettuce leaves or croutons. Dressing and protein go first, while everything else is layered in the middle, with the greens on top. So you can grab these salads in the morning and still have them taste just as fresh at lunch. Give it a shake to disperse the dressing evenly and keep the jars for decor after. Otherwise, bring the jar back for a dollar off your next salad purchase. 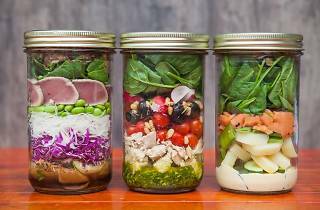 The tasty salad combinations come in either 750-millilitre or 1-litre jars. Choose from options like tuna tataki ($12.50/$16), roast chicken and pesto ($12.5/$16), vegan zoodle pad Thai ($12/$15), and quinoa and feta ($12.5/$16).